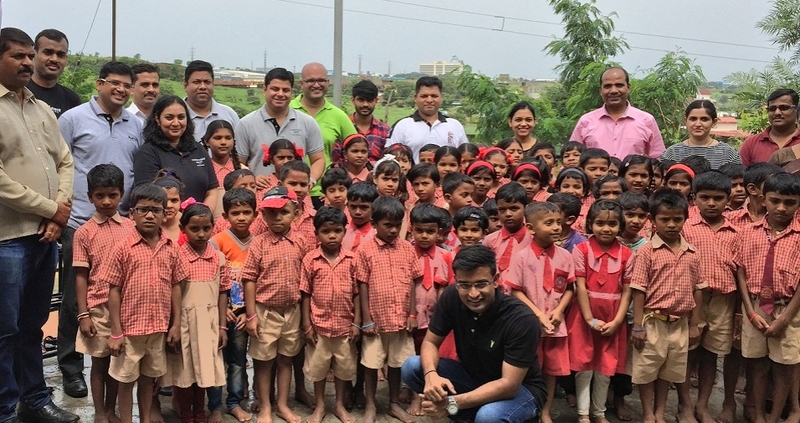 Pune, April 16, 2019: ‘Children are our future’, we are all aware of this, but this time the team at Courtyard by Marriott Pune Chakan has proved it by investing in an initiative for the betterment of young children. Recently Courtyard by Marriott Pune Chakan associated itself with the Zilla Parishad schools to put a smile on the faces of the children and uplift the students. The students who come from very humble backgrounds strive hard to excel in education and achieve great feats. Recognising this, Courtyard by Marriott Pune Chakan has associated with the Zilla Parishad schools to give back to the society by helping these determined students. The initiative has been taken to come together and celebrate every child’s birthday at the hotel making them feel special by cutting a cake, serving juices and snacks made by the expert team of chefs. The hotel is also volunteering to help the school children by providing them with basic necessities like old coloring books, clothes, footwear, ceiling fans etc. While we are all aware of the importance of educating these young ones, Courtyard by Marriott has taken a step forward by contributing to a brighter future of these children. The children from the school are overwhelmed by the initiative and narrated stories, recited poems and showered their love on the Courtyard by Marriott Pune Chakan team.